Like many fleeing the industrial confines of the East Coast with a batch of bad lungs from tuberculosis, F.O. Stanley found himself awestruck by the natural beauty of the Rocky Mountains. He landed in Estes in 1903, and soon after, he began construction of The Stanley Hotel. 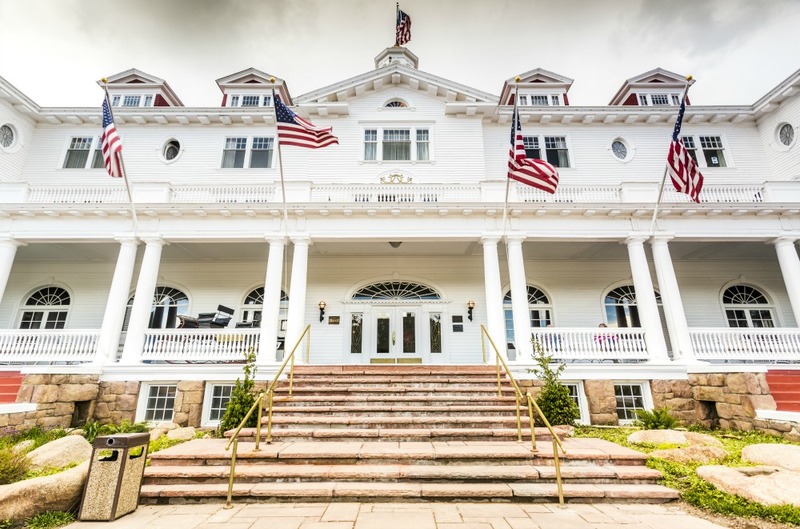 The luxury spa—now most notable for its ghosts and its role in Stephen King’s The Shining (see caption)—became a place for the social elite to summer. Indeed, tourism has fueled the growth of Estes Park and it is still a healthy part of the local economy today. The town can be luxurious, yes, but above all, it’s the saddle of wild woods, a place to explore, clear one’s mind, and bliss out on nature. 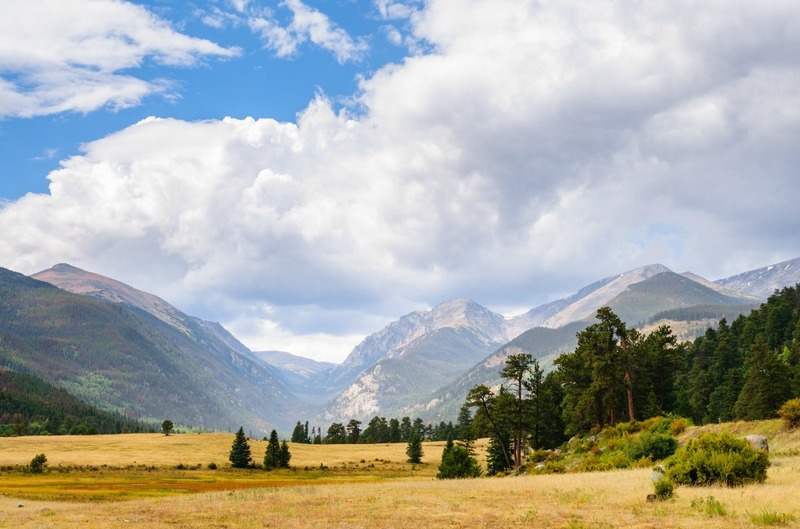 Estes Park is surrounded on three sides by Rocky Mountain National Park, and the other side is wilderness. As a base camp for the Rockies, Estes Park and its denizens take recreation very seriously. And like any good base camp worth its sweat, activities and indulgences abound for winding down after bagging peaks or climbing world-class pitches. 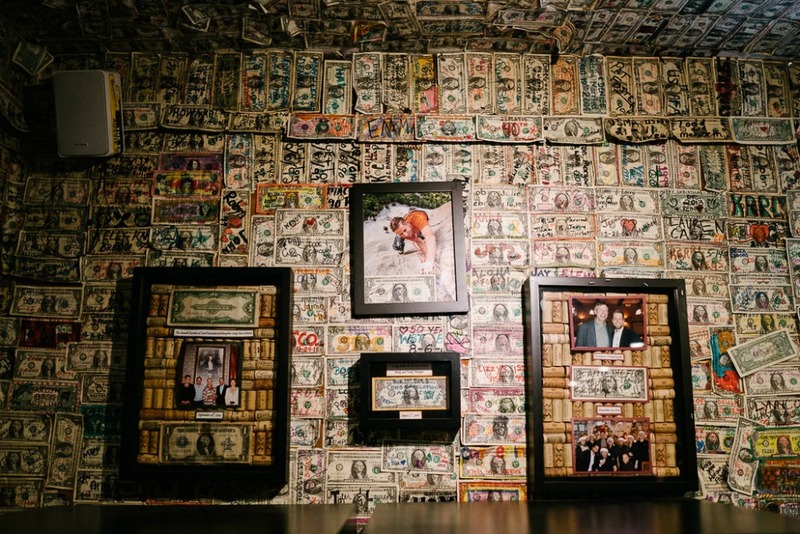 You will likely find yourself swooning over the town’s rich history and never-ending fun. Once you get Estes Park in your blood, it’s hard to leave it behind. 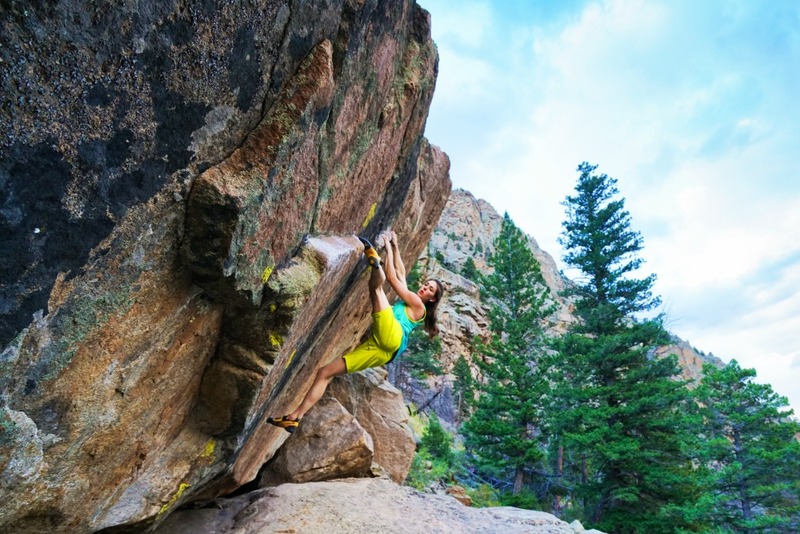 Estes Park is home to the likes of climbing legend Tommy Caldwell and up-and-comer Paige Claassen de Kock. When Tommy Caldwell was three years old, he wanted to fly a new Spider-Man kite from the top of the iconic Twin Owls formation in Rocky Mountain National Park. Fair enough, said his father, a local hero in the guiding community. The wee little Caldwell just had to climb to the top via Bowels of the Owls. And so began the climbing life of America’s—if not the world’s—greatest living climber. Right here in Estes Park. Caldwell—known world-wide as the first person to continuously free climb the Dawn Wall in Yosemite National Park—cut his teeth climbing around Estes Park. He ascended the sheer-faced Diamond on the east face of Longs Peak before he was 10, and he went on to develop many internationally-famous routes in the area. Estes Park and climbing go way back. In the 1860s, the first guiding services began climbing the captivating rock outside of town, and recreational and professional climbers have been bagging peaks here ever since. Caldwell and other local climbers have, among other things, developed two famous areas just a stone’s throw outside of town. Chaos Canyon, Caldwell’s backyard gym, is located within the National Park bounds. Its massive granite boulders, with challenges all the way up to V15, have put Estes Park bouldering on the international map. But Caldwell might be most famous for developing world-class sport climbing routes at the Monastery. With more than 100 routes to try out, ranging in difficulty from 5.6 to 5.14, it’s a favorite for travelling climbers as well as locals, like professional climber Paige Claassen de Kock. “It’s a narrow gully of perfect, clean-cut granite. It climbs like a dream,” de Kock says. The gully frames Longs Peak in the distance, so it’s gorgeous year-round. “There’s no chance of getting bored here,” de Kock, primarily a sport climber, says with a laugh. There’s an abundance of routes within an hour’s drive, but most are isolated to themselves. A climber has to really pick what she’s going to work on. “That makes the climbing really rewarding,” de Kock says. Other notable climbers who call Estes Park home include Harry Kent, Josh Wharton, and Eli Helmuth. But there are so many more world-class climbers here who are not in the limelight. 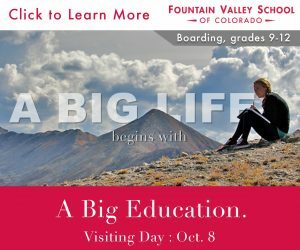 Whereas Boulder, Colorado, is a hub for professional climbers, Estes Park attracts “more of the underground, who aren’t trying to put their names out there, but who are in it simply for the love of climbing,” de Kock says.